Gerald Gonzalez became the Bureau of Elections director on Oct. 6. Employment with Udall is also on Gonzalez’ résumé; he helped the congressman start his Washington, D.C., office as Udall's chief of staff from December 1998 to December 2000. "That was a managerial function and almost like starting a small government," Gonzalez says. He was also the head of the civil division of the Attorney General's Office from 1995 to 1998 when Udall was the AG. So once again, the state's Republicans are riled up, saying the secretary of state should just let Udall count his own votes while she's at it. Since the time that I left his office, I have not socialized with Tom Udall. From my standpoint, it's been important throughout my career to come from the place of a professional approach to what I'm doing and not let any kind of bias creep in there. Gonzalez counters by saying he worked for the congressman eight years ago. "Since the time that I left his office, I have not socialized with Tom Udall," he adds. "From my standpoint, it's been important throughout my career to come from the place of a professional approach to what I'm doing and not let any kind of bias creep in there." 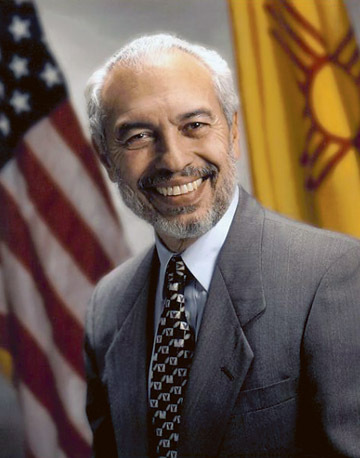 The Harvard Law graduate has spent his career in government and served as Santa Fe County Manager. He retired in April 2007, but that hasn't kept Gonzalez from working. Since then, he's been the spokesperson for Senate Majority Leader Michael Sanchez and other legislators. "I never really detached myself from government, and when an opportunity came along that I felt would allow me to make an even larger contribution, I was glad to step up to the plate," he says. Gonzalez took into account the looming election coupled with the scrutiny and politicization of the post before taking the position, he says. He sees problems with New Mexico elections, including a lack of poll workers and voters overwhelming certain polling locations unexpectedly. Gonzalez says it's always been important for him to know how to get along with people from both sides of the aisle. “My wife, by the way, is a Republican,” he points out. There's no way, he says, that he can fathom helping one candidate or another from his new position as the director of the Bureau of Elections. "I don't count ballots," he says. Instead, he'll oversee and support county clerks, who will count ballots. He'll also provide guidelines for ballot counting. "The process is an open governmental process, and I'm a proponent of open government," he says. Gonzalez adds that the voting process is sacred. "It's the one place where we have the closest intersection between the everyday citizen—the general public—and the governmental process," he says. "And if you have a governmental process that people can't trust, government doesn't work."